Wrangler JL Forum > 2018+ Jeep Wrangler JL Tech Section > Wheels, Tires, and Brakes > Lug nut overall size matter? Fellow JL owners, I have a 2019 JLU Sport. I bought new wheels and tires. The original wheels were silver and I used the OEM lug nuts. They are silver. 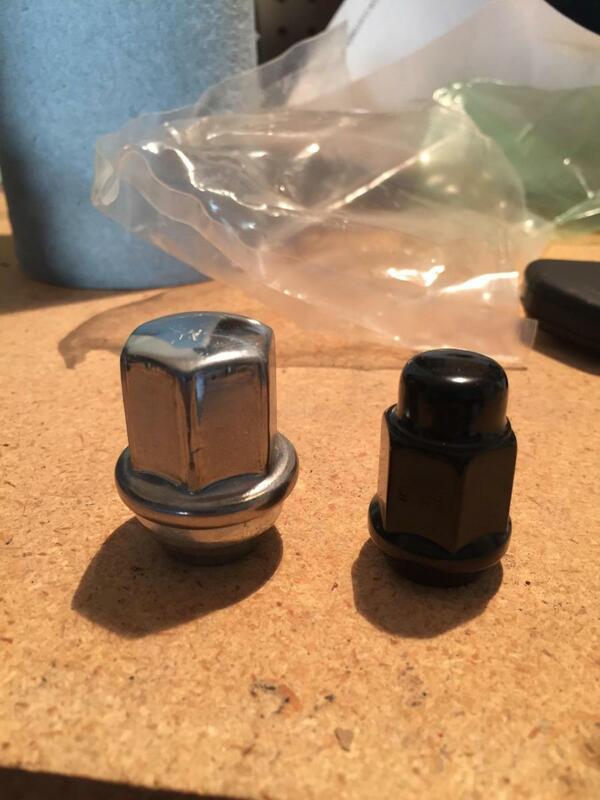 I went to Extreme Terrain and bought new black lug nuts in proper 14mm x 1.5 RH thread size and they fit on my new wheels but...they are much smaller than my old lug nuts. Does that matter? They fit snugly in the wheel hole at the flange but they are not as substantial as the OEM lug nuts. I searched but nothing quickly appears about substance/heft/exterior size of lug nuts. What says the experts?